A classic piece that illuminates the head curator s office in a major contemporary art museum inspired this modern table lamp. Its graceful curves, luxurious geometric pattern and polished details were designed for the expert eye. One lamp is fine. The other leans. 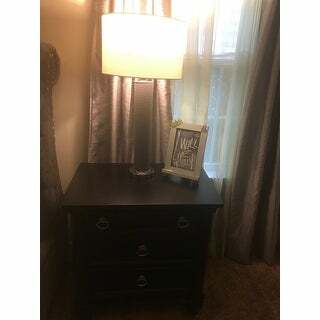 It is crooked. The bottom isn't flat. It drives me insane. 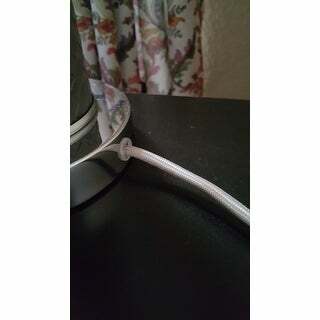 Also, the electrical cord that connects the actual light bracket to the top, runs through the body of the lamp and comes out at the bottom to plug into the wall, was a real pain. 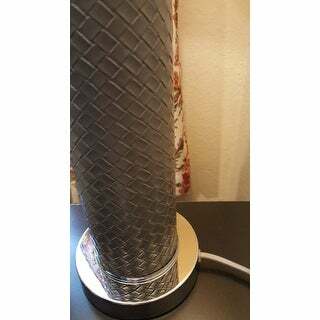 I had to use all my strength to try to pull the cord from the bottom of the lamp. I'm not sure what made the manufacturer think it's okay to ship them like that. 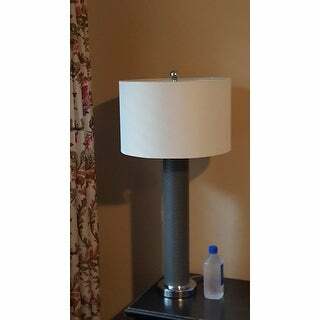 We needed 2 contemporary and sleek lamps for our guest bedroom that had very short night stands. 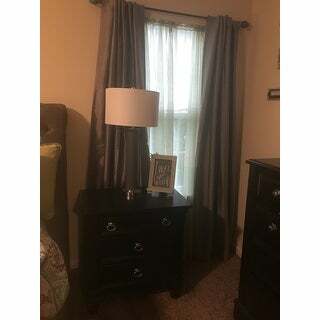 These lamps were perfect! Highly recommend this product! Very well constructed. Taller than average lamp which is why I bought them. Shades are very nice. 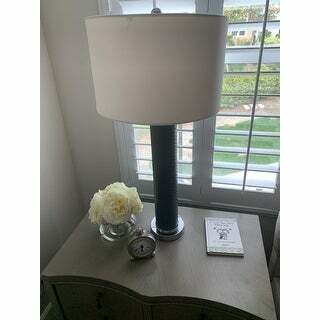 Originally was concerned about the stem of the lamp but was pleasantly surprised. Even came with light bulbs!! Luxurious Statement Piece WOW! Where do I begin…….. these lamps are gorgeous, stunning, large and very well constructed. They are packed very tightly in the shipping box, as they should be, take your time pulling them out of the box. Once out of the box it took me less than 5 minutes per lamp to have them up and running. 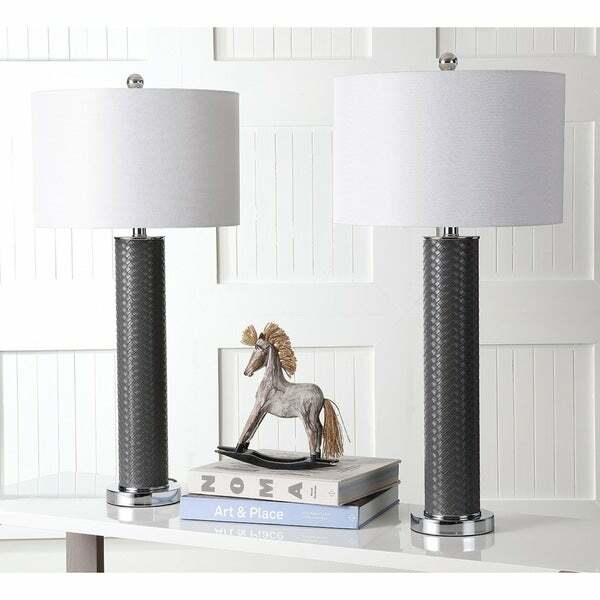 The lamps are vibrant, eye catching and create a beautiful point of interest. happy with this purchase. Perfect size and i am pleased with the quality. Shipping time was good and arrived with no damages from shipping. There's lamps are much more than I expected. I absolutely love this pair! No one can believe that these didn't come from a high end gallery! 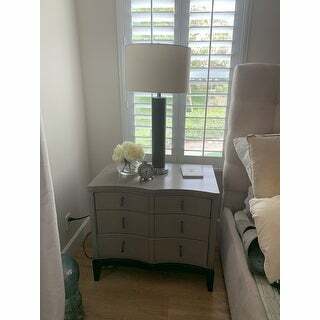 I love these lamps the go so well with the nightstand. It just looks so luxe. I’m glad I made the purchase. It completes my room. Gives an impression of richness at a very reasonable price.